The Port of Savannah handled more total containerized cargo and more intermodal rail volume, with greater connectivity and velocity than any March on record, the Georgia Ports Authority reported Thursday. "I would like to thank our employees at GPA, the stevedores and the International Longshoremen's Association for helping to make this accomplishment possible," said Griff Lynch, GPA's executive director. "To have handled this level of intermodal volume, while reducing the time it takes for a container to move between rail and vessel operations, is a big win for our customers. We are just beginning to see this port's capabilities." While the port handled more than 410,000 twenty-foot equivalent container units last month, an increase of 15.5 percent, rail volumes spiked by 26 percent for a total of 82,135 TEUs. In addition, GPA achieved a record low dwell time for intermodal boxes in March, with containers averaging just 27 hours from vessel to outbound rail. 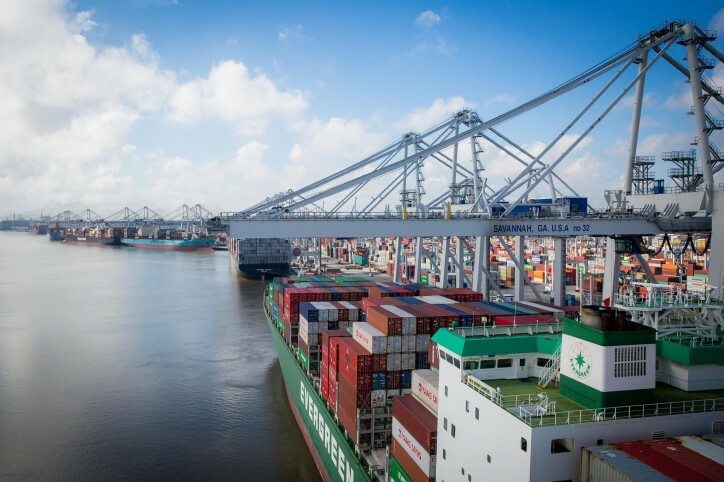 The Mason Mega Rail project, which will double the Port of Savannah's rail lift capacity to 1 million containers per year, is 25 percent complete. The first phase will come online by October 2019, and the second phase will become operational by the end of 2020. "Our rail expansion will allow Garden City Terminal to accommodate additional 10,000-foot long unit trains and provide direct rail service to inland markets such as St. Louis, Chicago and Cincinnati," said GPA Board Chairman Jimmy Allgood. "By stepping up to the plate to bring on additional rail capacity, we are expanding the size and scope of Georgia's market reach." Not only is the Port of Savannah handling more rail cargo, it is moving the intermodal boxes faster than ever. In just one year alone, the dwell time for such cargo was reduced by 50 percent. For the fiscal year to date, containers moved by rail are up 22 percent, compared to the same period in the previous fiscal year, to reach 701,000 TEUs.